Worship keyboard lessons from Musicademy's Intermediate Worship Keyboard DVD series. 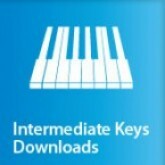 This download is one part of a series of lessons which make up the full Advanced Keyboard series. Each lesson teaches multiple parts to a different song and is up to 30 minutes long plus additional advice, quick tips, interviews with worship leaders and backing tracks. Buy all 9 Intermediate Keyboard lessons at the same time and a 25% discount will be applied at the checkout. These lessons are either for people who learnt to play classical piano as a child but now want to learn to play contemporary worship music with ease. Also ideal for people who already play worship keyboards but want to extend their techniques and move out of their comfort zone. As well as the teaching there are interviews and advice from worship leaders Stuart Townend, Brenton Brown, Vicky Beeching, Tim Neufeld (Starfield), Tommy Walker, Noel Richards, Leeland Mooring and Andy Piercy (producer for Delirious? and Graham Kendrick). The full Intermediate Worship Keyboards Course is about 6 hours of content - the equivalent of a year of private lessons. 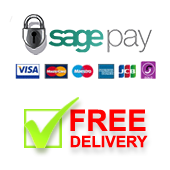 Plus - backing tracks for daily practice and play throughs with the Musicademy band. The sampler video above covers both the Beginner and Intermediate Worship Keyboard DVDs and downloads.